Your youngster really has a whole world of options waiting before him. When he grows up, he could be a brain surgeon. He could be a rocket scientist. Heck, he could even become the greatest pirate to ever sail across the seas. He could become Captain Jack Sparrow! What, you don’t believe us? Your child may just have what it takes to become the savvy pirate. Does your child have a silver tongue? Well, neither does Jack actually. His words tend to get him into more trouble than they do save him! Does your child have excellent sword skills? Don’t worry about that either, since Jack constantly has to cheat during his sword fights in order to win. Convinced? Then just feast your pretty little eyes on this deluxe costume based on the crazy character from the Pirates of the Caribbean movies. 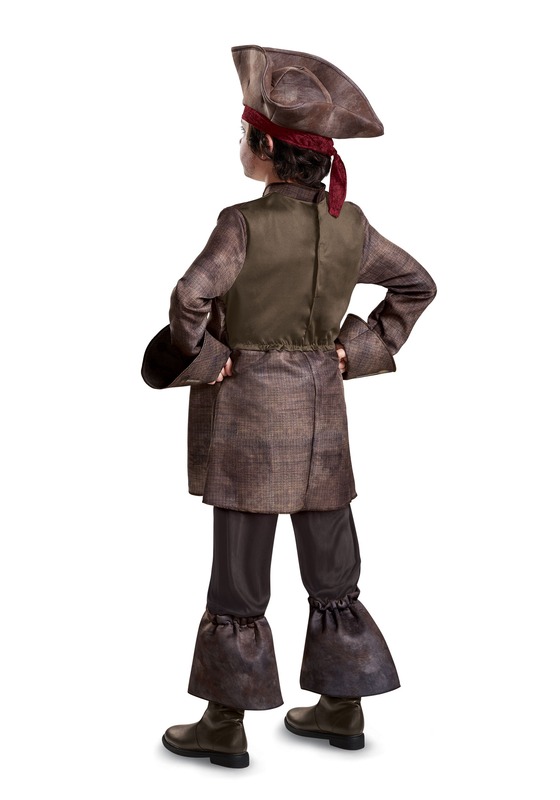 This Captain Jack Sparrow child deluxe costume is officially licensed and it gives your child the chance to fulfill his dream of becoming the best pirate around. The costume comes with a tunic with an attached jacket and a faux fur tail and sash. It even comes with a couple of belts with attached buckles. It’ll be enough to make your child want to become the Jester of Tortuga (Michael Bolton’s words, not ours)! 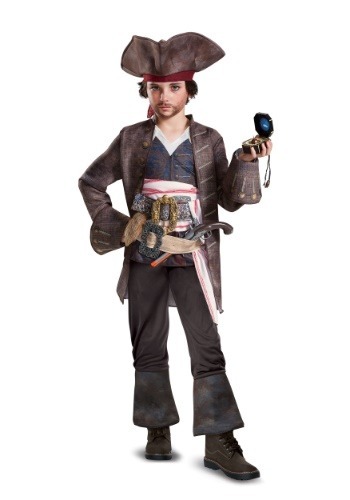 Just be careful once you wrangle your child into this pirate costume, since you never know what kind of adventure you might get swept up into when your child becomes the infamous pirate captain. Hat is for a baby, literally! The costume is pretty good for the price. But, the hat that came with it sits on the top of my childs head like a beanie. He is a small child and the costume is quite large on him. According to customer service all of these costumes have the same sized hat so your 12 year old is going to get the same sized hat as a 4 year old (and I don't think the hat would even fit a 4 year old. IT is tiny! !